Rudi Liebenberg, a chef to be reckoned with. 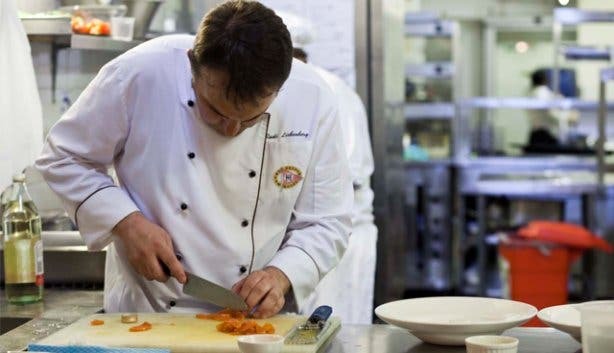 Chef Rudi Liebenberg of The Mount Nelson Hotel is certainly no wallflower. He commands one of the biggest and oldest kitchens in Cape Town. He’s daring. He’s fun. And he’s a tomato virtuoso. Rudi’s been a chef for over 20 years, and he’s still very passionate about sourcing the best (local) produce and cooking up new, innovative menus. 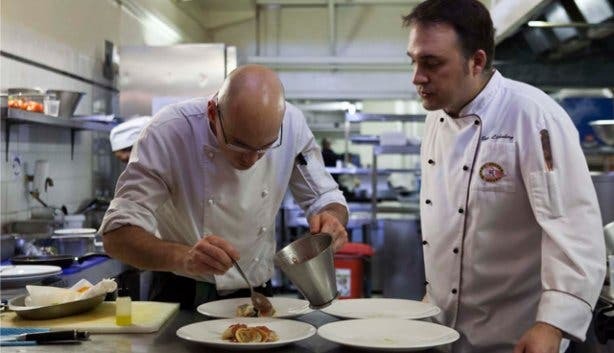 He's also one of the most acclaimed chefs in Cape Town, and South Africa for that matter. “I knew from the age of 12 that I wanted to be a chef,” he says tucking into a glass of Genevieve MCC. We’re seated in the cellar room of newly opened Planet Restaurant. I also have a glass of the MCC—a boutique bubbly made in Bot River. 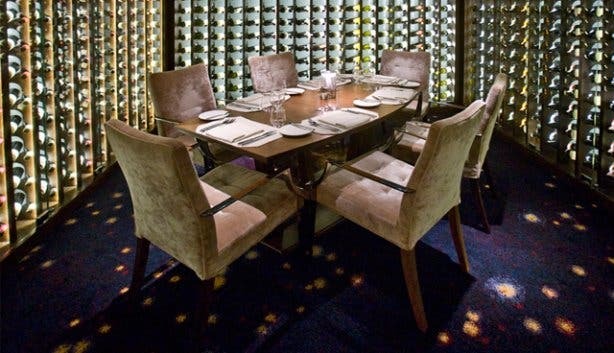 ‘The Cellar’ is so named for its three glass walls that house row upon row of wine, all lit up by a tech-y blue light. It’s a bit like being inside a winemaker’s spaceship. Added to that, the carpet at our feet is a wool Milky Way, a woven interpretation of an actual photograph taken by the Hubble telescope. “My mom was a good cook, my granny was too,” Rudi is saying. “My humble beginning was at a pizzeria in Melville, called People’s Pizza. Part of the reason I wanted to be a chef is because I didn’t want to talk to people. Food doesn’t talk back. I didn’t realise at the time that the further you go in your career—the more you’re expected to talk to people. But I’m over that now,” he says laughing. There’s no pizza on The Planet Restaurant’s menu, but Rudi says that they make it for room service, “from scratch. We don’t buy anything in. We make everything in the kitchen. The only imported ingredient I use is Parmesan cheese. I can’t find anything as good as Port Salut. And, I’m not willing to compromise on that. “I also buy in free-range and organic meat products. I’m not going to stand on a soapbox and say that everything’s organic and sustainable. There’s simply not enough of it around to adequately supply the hotel." A vegetable (or fruit depending on which side of the fence you’re on) that doesn’t set Rudi off is the humble tomato. I’ve been fortunate enough to have experienced his take on the deadly nightshade a few times. Once at a chef’s table in the heart of the 110-year-old kitchen. I remember being gob-smacked by the blocks of white jelly that tasted of pure tomato essence. Now in front of me is a textured glass plate, and on it ‘tomato variations’. First the ox heart tomato, so named for its size, takes up the whole plate in a full moon slice. There are vine-ripened plum tomatoes, white tomato jelly and sponge, crystallised rocks of tomato essence, and even Mexican variety, tomatillo in slices of yellow hue. “After that (Renown Salads),” Rudi is continuing. “I’d saved up enough money so I could go on holiday in Plett. A month of debauchery later, I joined the army as a chef. The training was phenomenal. We had qualified chefs mentoring us. After the army I went to Wits Hotel School, where I met my wife. Rudi was then headhunted by The Mount Nelson for the job of executive chef. It didn’t take him long to decide. Soon the next course is served. A slow poached egg (45 minutes at a low temperature) is served with ham that’s been cured on the premises. The egg has a custard consistency, rich and dreamy paired with the salty, slightly smoky ham it’s a revelation. Rudi’s approach to cooking is light years ahead, and The Planet Restaurant is, well, simply out of this world. Dine under the stars at the Planet Restaurant. Be sure to subscribe to our newsletter, follow us on Facebook and follow us on Twitter. 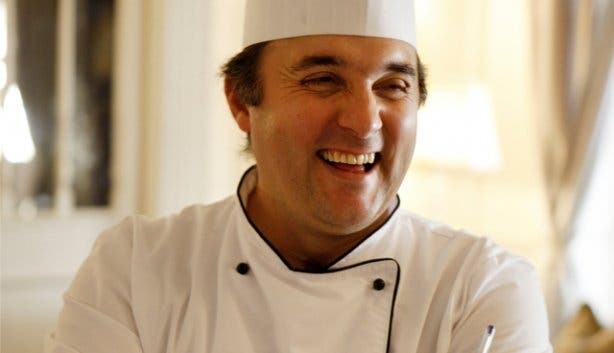 CapeTownMagazine.com truly appreciates the chefs that tantalise our taste buds in little sidewalk eateries and the best hotels in Cape Town. We regularly take time out to get (and give you) an insight in the minds of some of the best chefs in Cape Town and South Africa.